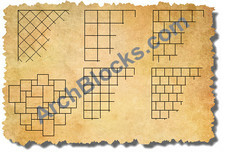 You won't find these CAD floor tile patterns in AutoCAD .dwg format anywhere else on the internet! 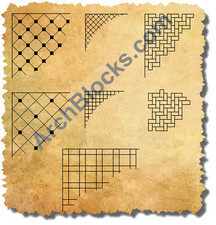 This CAD Tile Flooring Library set of patterns are CAD blocks, these not hatch patterns. You can drag and drop them right into your drawings from Design Center, or Content Explorer, or the AutoCAD MAC's version's Content Palette. 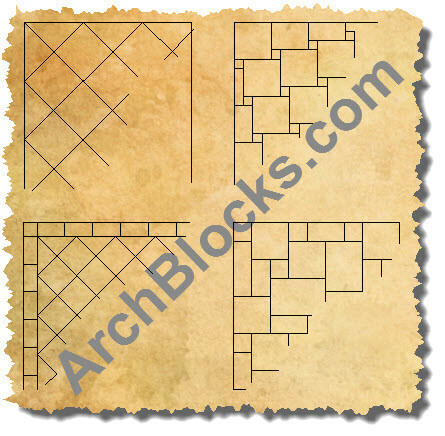 Use these floor tile blocks when you only want to show the flooring material, or pattern in one corner of your floor plan. 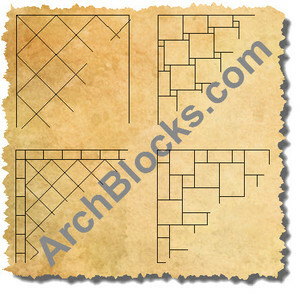 This technique will show the flooring material and pattern without filling up the whole floorplan that can sometimes make the drawing look to busy. 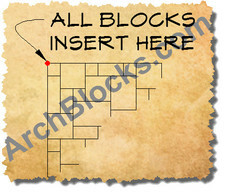 There are 17 CAD flooring blocks in this library.